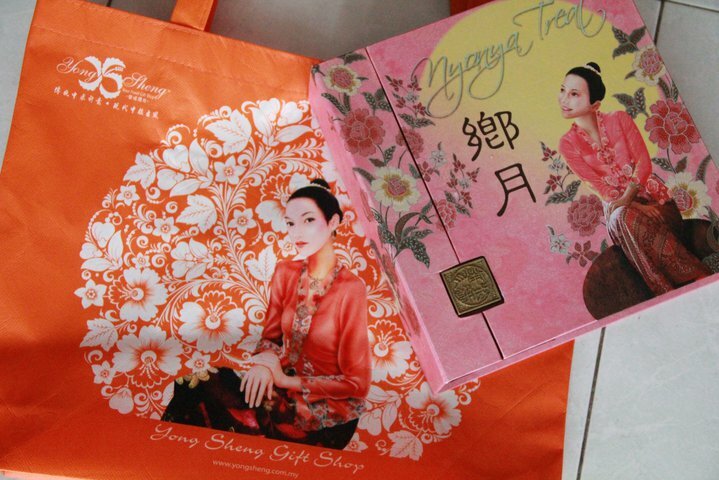 containing mix fruits nuts, nyonya sambal, moonlight kiss, passion for life. 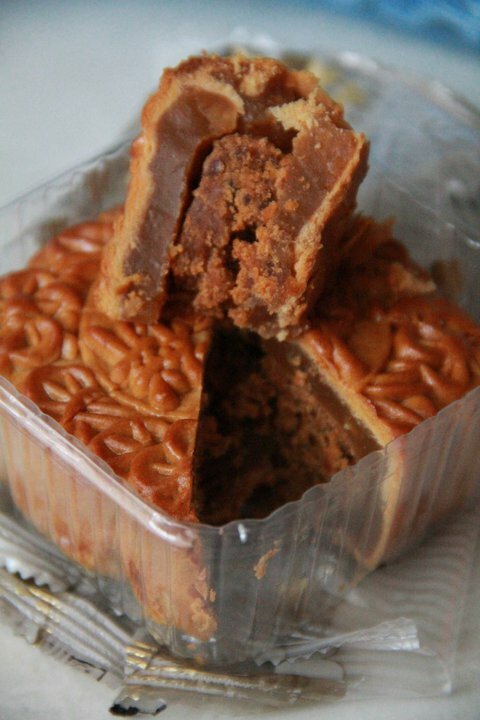 This is the best seller mooncake. 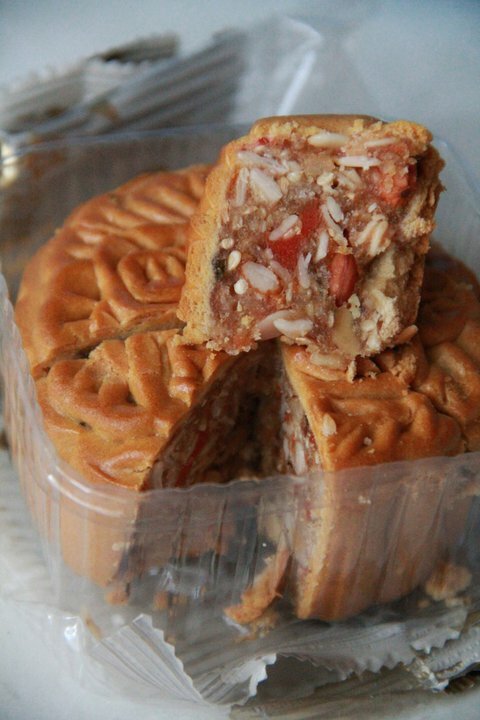 Contains dried shrimp sambal with lotus paste filling. 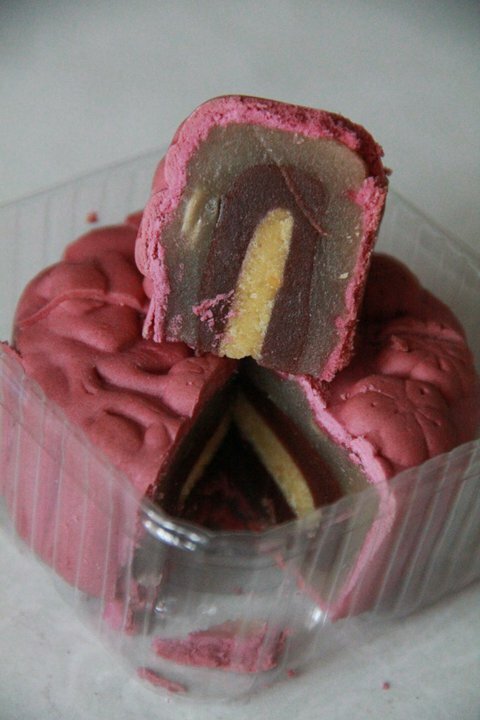 Initially I thought the combination is weird; but after tasted it….its quite nice actually. 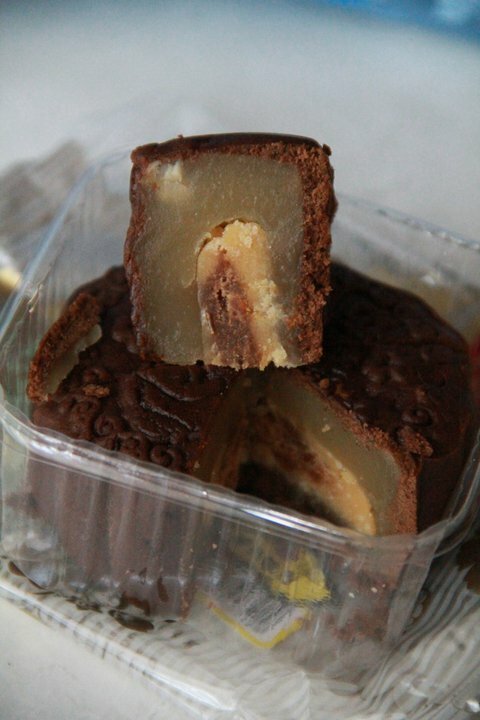 This mooncake has purple sweet potatoes filling. I like the taste of it. This is a very unique one. 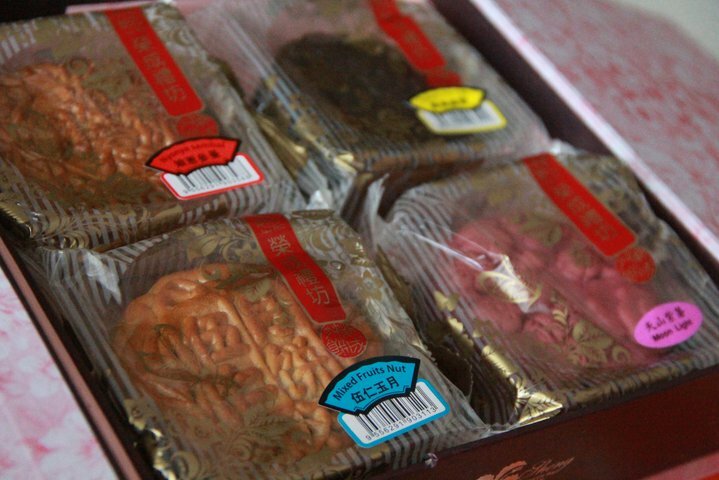 The filling of first layer is white lotus, second is ice-blended and third layer has the taste of braised pork, which I thought it was ‘mung bean’. Not bad too….